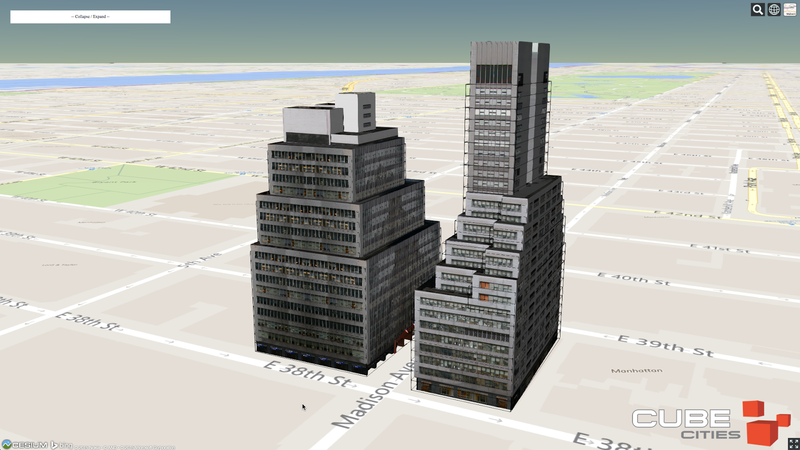 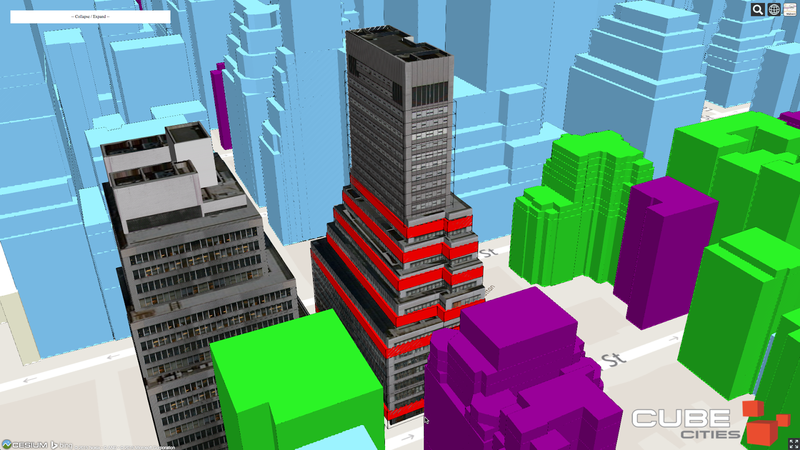 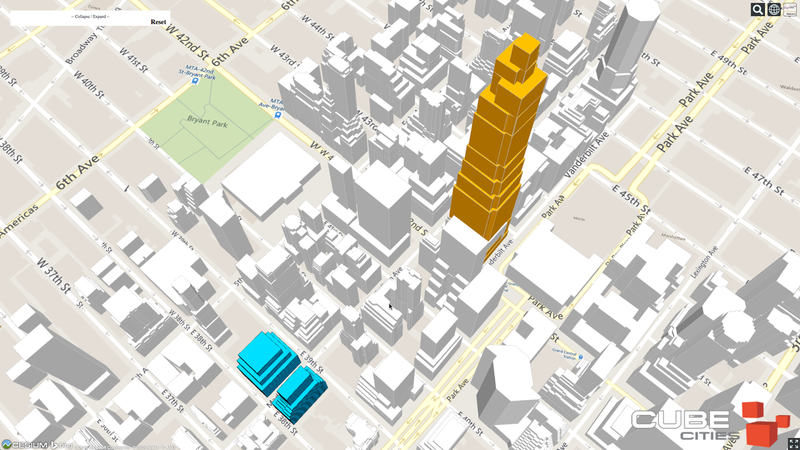 The Cesium mapping software makes it easy to load and manipulate high quality photo textured (Collada) models of office buildings and articulate them with property data. 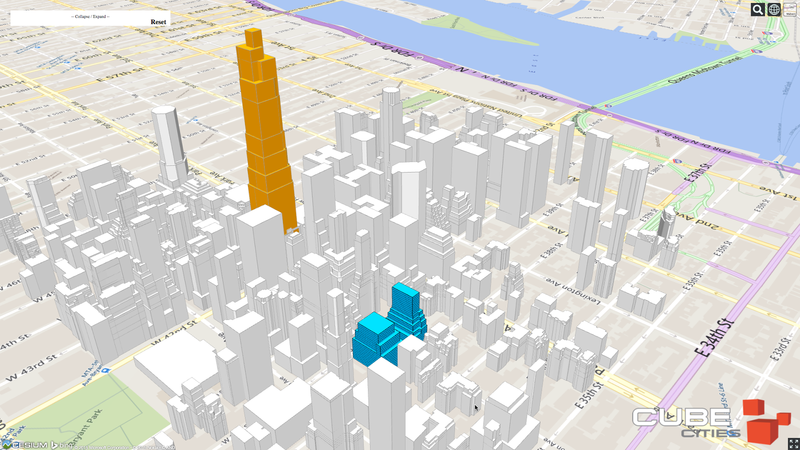 The imagery below showcase these Grand Central-district buildings that were both built in 1953. 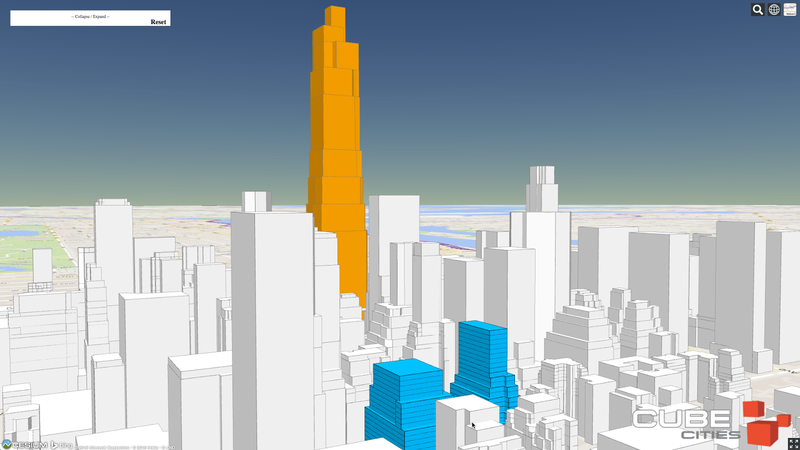 Web applications that illustrate buildings in this method and can reveal floor level data are products provided by Cube Cities. 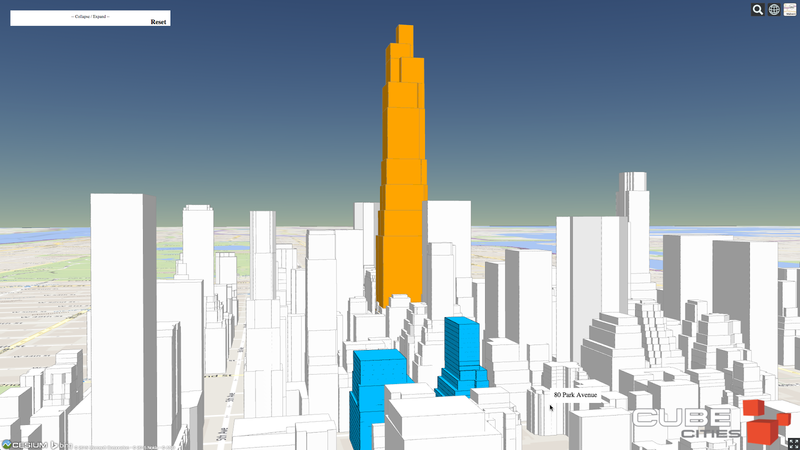 The imagery below compares the scale of 260 & 261 Madison Avenue with One Vanderbilt, the supertall skyscraper proposed West of Grand Central Terminal on 42nd Street. 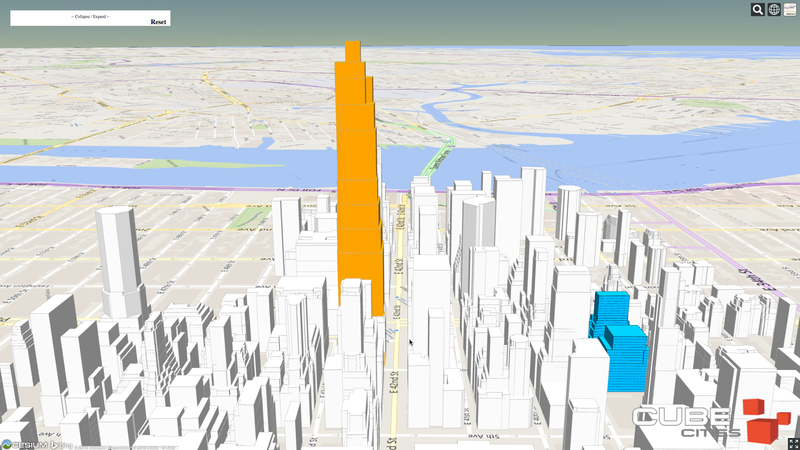 For comparison purposes, the rooftop heights of 260 & 261 Madison are 300 and 347 feet, the proposed height of 1 Vanderbilt is 1,514 feet. 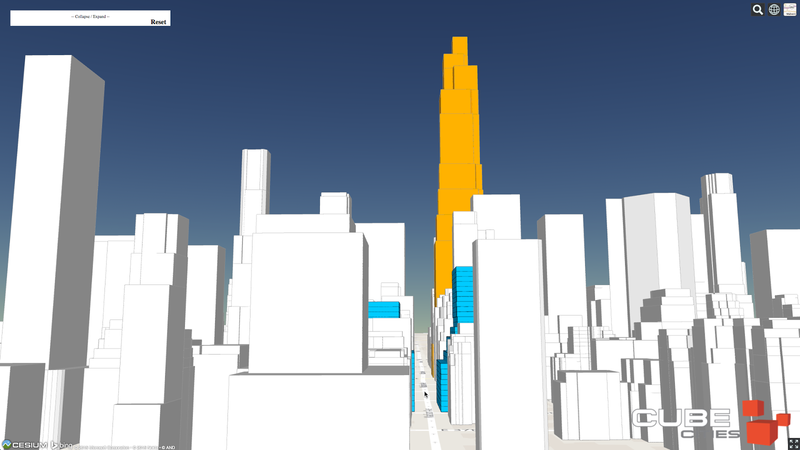 SL Green Realty is the developer behind 1 Vanderbilt.